This review was originally written as part of my USA Road Trip series over at French Toast Sunday. It was also a suggestion for something I should watch from the 1001 Movies list from fellow French Toast Sunday member Nick “The Rehak” Rehak. Josey Wales (Eastwood) is a small time farmer with his wife and young son, living a peaceful existence in their Missouri home. That is until one day when, whilst Josey is out ploughing the field, he hears a ruckus at his house and arrives to find a gang of hoodlums attacking the place. Josey is knocked out in the fray, and awakes to a destroyed home, a pair of bodies in need of burying and a mighty case of desired vengeance, prompting him to learn how to shoot and head off in search of the red-booted gang who took everything he loved in the world. Eastwood has become the successor to John Wayne in being a name synonymous with the western genre, and that’s no surprise given how many truly great films he has made that fit the description. The Dollars trilogy are perhaps his most famous, and Unforgiven is a personal highlight, but The Outlaw Josey Wales deserves a place amongst Eastwood’s best work – certainly amongst the best he’s directed. It brings together all the classic western elements Eastwood had collected in every film he’d appeared in beforehand – the sombre, sullen loner of few words on a quest for vengeance who ends up begrudgingly helping others along the way as he squints and spits his way across beautiful yet barren landscapes. 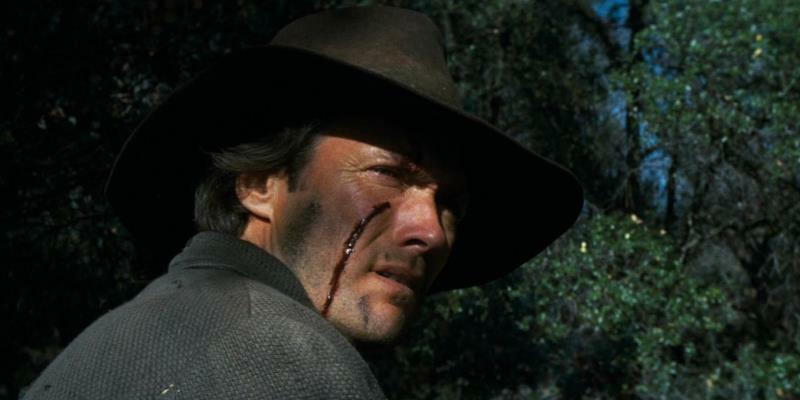 In fact, it felt strange seeing this after Unforgiven, because the two could be part of a short franchise, as the character of Josey Wales is alarmingly similar to that of Unforgiven‘s William Munny, and where Wales leaves off in this film is not a million miles from where he begins in the later one. Wales, as a character, is very interesting. In the first scene we see everything he has to live for being removed, leaving him with nothing but the drive of vengeance. It is made abundantly clear that he doesn’t have any faith in surviving this endeavour, and nor does he care – with only revenge left to live for, why live after the revenge? Even as he slowly, begrudgingly, builds a group of dependant followers – let’s call them Josey’s Pussycats – Wales still seems intent on carrying out a suicide mission, until he realises that dependency can be a two-way street. Outside of Mel Brooks’ Blazing Saddles, westerns aren’t often regarded as terribly funny films, yet there’s a decent level of comedy here, mostly based around how Josey deals with other people, such as the Snake Oil Salesman who keeps on running into the outlaw. Wales’ main sidekick throughout the film is also a great source of levity in the form of Chief Dan George, who has a piece of hard candy that isn’t for eating, it’s just for looking through. He is an aged Native American who has lost touch with his roots, believing himself to be far more skilled and agile than he is in reality. He is very much a liability, and is the cause of a couple of close calls, but never comes off as a buffoonish Jar Jar Binks-like silly distraction. The narrative occasionally seemed to wander down tangents that looked like they might not go anywhere – the old Kansas woman heading to her dead son’s farm, for instance – but Eastwood holds it all together, seemingly just by squinting and spitting at more things – a recommended drinking game for this film is drink whenever he spits, so prepare to get drunk – and in the end the episodic nature works very well. As westerns go, this is one of the best I’ve seen. This entry was posted in 08/10, 1001, Choose Film, Empire Top 500, French Toast Sunday, Nominated List, Review, The List and tagged Chief Dan George, Clint Eastwood, John Vernon, Sondra Locke, The Outlaw Josey Wales by jaycluitt. Bookmark the permalink. I always recommend this movie to people who say they don’t really like westerns, because the story line is quite different and the characters are raw and real. Agreed. Great characters, great story, that should be appreciated by even the people who don’t normally get on with traditional horse operas.